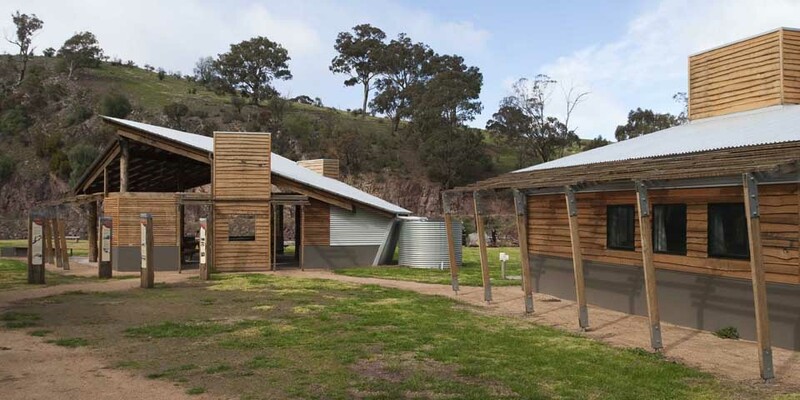 Following the extreme bushfires which surrounded Licola in the 2006 bushfires, and a rainstorm soon after which sent a mudslide through the town’s main street. Then only months later 2007, floodwaters swept down the Macalister River destroying bridges and cutting off the town from the outside world for a long period of time. 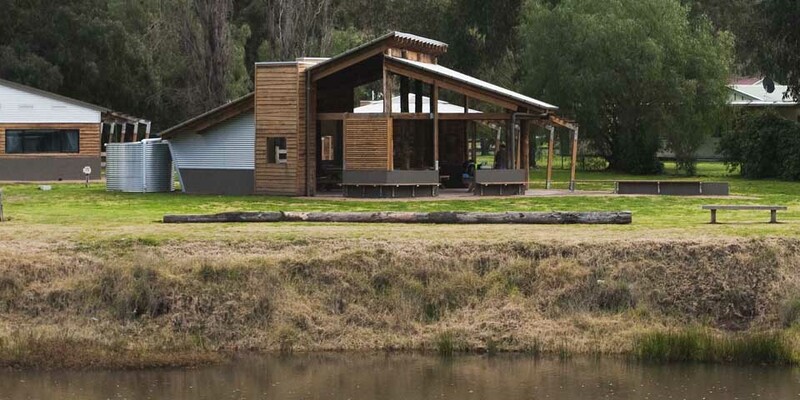 State government funding was allocated to the Licola community in a bid to assist in injecting some life back into a tiring Licola community. 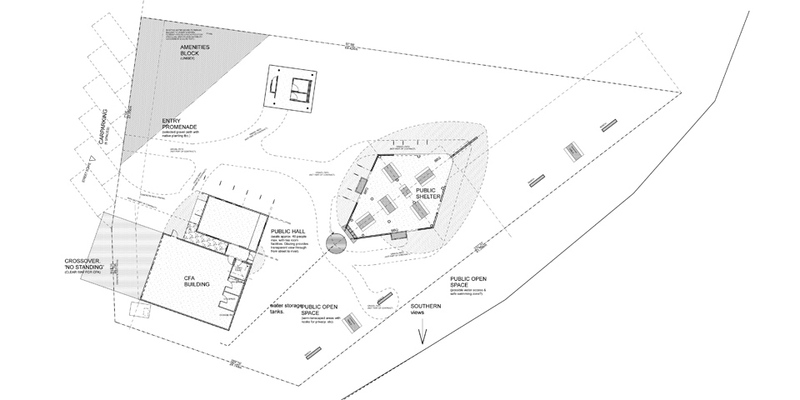 In conjunction with the CFA and local Licola community, Wellington Shire Council commissioned SLAP Architects to design a new community complex to be located on the existing council managed community parklands to the North of Macalister River, adjacent to the existing general store and caravan park in the centre of town. This was to be an iconic development to attract people to the local area and to entice passer’s by to utilize the town and its facilities on their way through the picturesque town. The intention was to provide a creative design with a point of difference, which would leave the viewer with pleasant memories of their visit. An experience to which they may pass onto their friends and family. 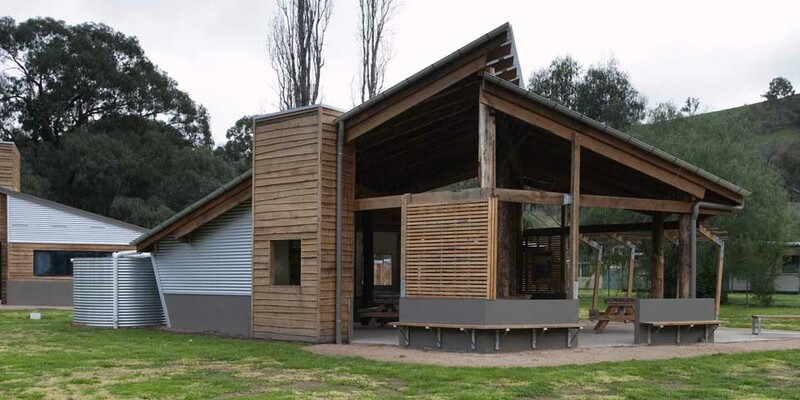 Old timber huts and nearby post and beam structures provide the cue for the design as does Licola’s rich logging history. The river is a major feature of the town and views are maintained across to the escarpment on the other side. Rough sawn posts and beams and rotary sawn weatherboarding will age to the familiar silver-grey. 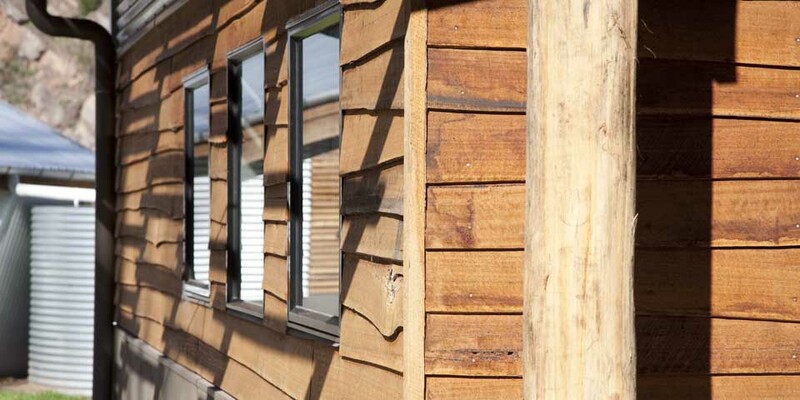 Timbers are chosen for durability and interest. 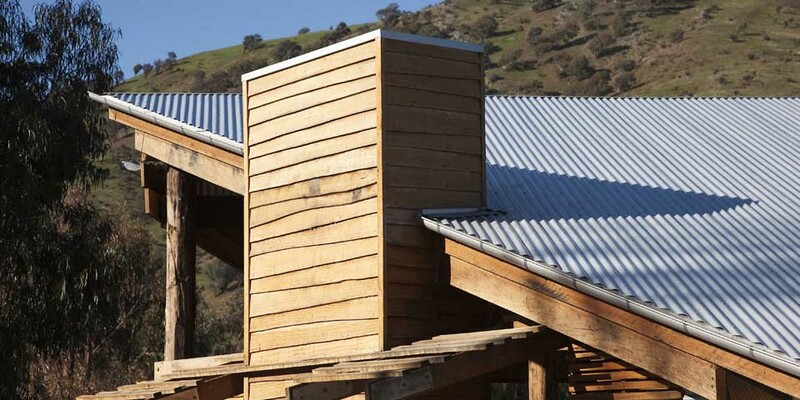 Heavy galvanized plates contribute to the impression of country ingenuity – creating shelter from whatever is available. 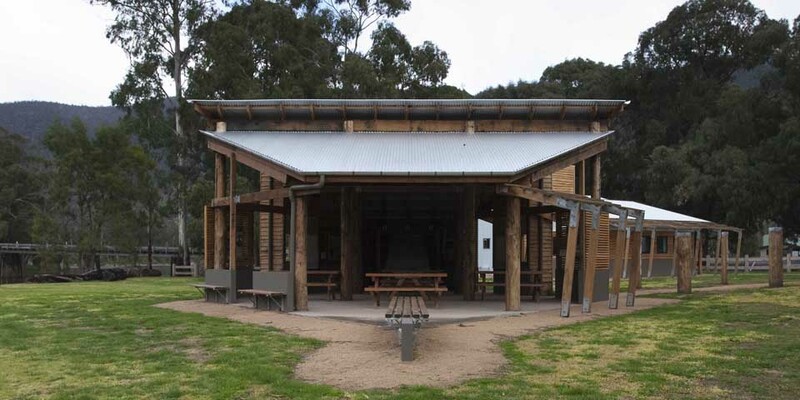 Vertical elements in the structures – the link between hall and shed and the monoliths on the BBQ shelter and toilet block – echo old corrugated iron fireplaces and feed hoppers.